970 Marble Sof-Tyle Grande Floor Mat in use. Working in an environment where your standing for long periods of time can be very painful which is why the 970 Marble Sof-Tyle Grande Floor Mat is recommended for proper blood circulation preventing lower back pain and muscle fatigue. 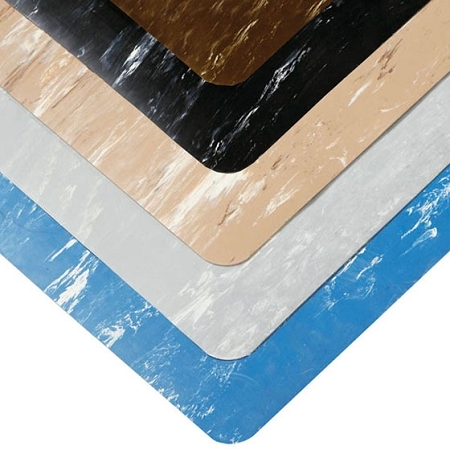 The 970 Marble Sof-Tyle Grande Floor Mats come in a marble-pattern design and is made of a rubber top surface bonded with a cell foam base utilizing NoTrax exclusive UniFusion technology to prevent separation of the materials. 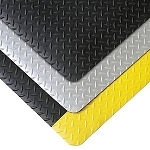 Now you can stand on your feet for long periods of time as this anti-fatigue floor pad helps with proper blood circulation, prevents muscle exhaustion, and lower back pains while protecting you from slipping. 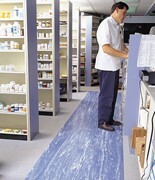 Sof-Tyle Grande floor padding is very comfortable and ideal for use in dry areas like testing laboratories, check-out counters, and pharmacies.